Along with the huge success of Apple’s iPhone series over the world, they are preparing their next flagship Smartphone (that will be the 9th iPhone) to launch as iPhone 6 (the expected name of that iPhone) which is widely expected upcoming launch of Apple however that has not been announced yet and not even an official certainty has been given. Each and every day new and juicy rumors are being circulated over the world through internet. As the news and rumors related to iPhone 6 is the most happening awaited product of Apple. This upcoming series of iphone is the most awaited and hotly appreciated Smartphone of 2014and looks like that’s going to challenge the Xperia Z2, Galaxy S5 and the LG G3. Throughout the internet world there are massive numbers of ongoing rumors after rumors of this Apple’s new generation Smartphone probably named as “iPhone 6”. The ongoing rumors relating to upcoming Apple’s iPhone 6 are usually regarding its features, price, specifications, release date and many more. Here, I have got some juicy and interesting rumors floating around the globe of iPhone 6, new iPhone or iPhone 2014 whatever the name the company will give that’s also just a rumor. iPhone 6 Release Date: The rumors being aired over the glove regarding the release date of iPhone 6 and that it is likely to be launch in 2014. We have heard lot of general predictions regarding the release date of iPhone 6. There are lots of rumors being circulated among different blogs. We can read one of the latest release date rumor defines that Apple may launch its 4.7in iPhone 6 in August, followed by a bigger 5.5in model in September. 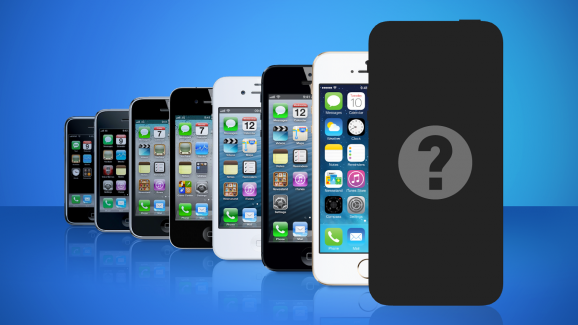 iPhone 6 Display Rumors: There also some rumors regarding the designs, display and size of iPhone 6. Such rumors are that apple is working on its new 5.5in iPhone which will probably be known as iPhone Air as well as in addition to 4.7in iPhone 6. There are also rumors like iPhone 6 will have a 1920 by 1080 pixel display and as well as the device will run iOS 7.2 at launch. iPhone 6 Tech Specs and New Feature: We can hear, read lots of rumors of iPhone 6 regarding its new features and other tech specs like Apple will probably launch its new iPhone product of 128GB Model, Wi-Fi Chip from Broadcom which will help to increase Wi-Fi coverage by up to 30% and as well as improve its efficiency, also Apple is working on its own baseband chips, along with wireless charger, battery improvements, and other rumors regarding its features like camera that could be with 10-megapixel with f/1.8 aperture and many more. iPhone 6 Size Rumors: Rumors regarding the size of iPhone 6 are also being circulated over the internet and some of those rumors regarding size of iPhone 6 are that will be of 7mm thick (0.5mm thinner than the iPad Air), which may also be of the length 138mm, 67mm in width, and 7mm in depth. And some rumors are like Apple will launch its next iPhone with a bigger screen in 2014.
iPhone 6 design rumors: There are several rumors regarding the design of iPhone 6 like it will have an updated design than of its predecessor models. Some of those rumors are Apple may change the position of sleep/wake button of iPhone from top to the side. This upcoming iPhone series, iPhone 6 could have an illuminated Apple Logo on the back, iPhone 6 will probably be thinner than the iPhone 5s along with the removal of 3.5mm headphone jack which is the thickest component of that product. Google Nexus 5 with Android 4.4 (Kitkat).